Become a market leader and achieve top-line growth! 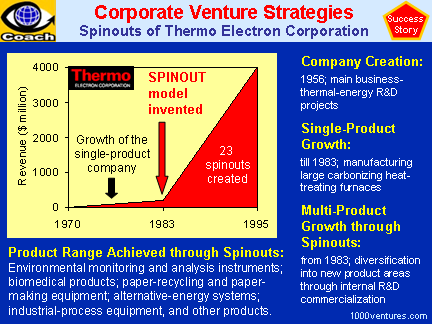 Long-term corporate success linked to the ability to innovate. Although corporate investment in improvements to existing products and processes does bring growth, it is new game changing breakthroughs that will launch company into new markets, enable rapid growth, and create high return on investment. Radical innovation, concerned with exploration of new technology, is fundamentally different from incremental innovation that is concerned with exploitation of existing technology. Radical innovation is a product, process, or service with either unprecedented performance features or familiar features that offer potential for significant improvements in performance and cost. It creates such a dramatic change in processes, products, or services that they transform existing markets or industries, or create new ones. The early stage of the radical innovation process is ripe with opportunity, but it is also devoid of many definitive facts. Due to its high degree of ambiguity, this development phase has become known as "the fuzzy front end." 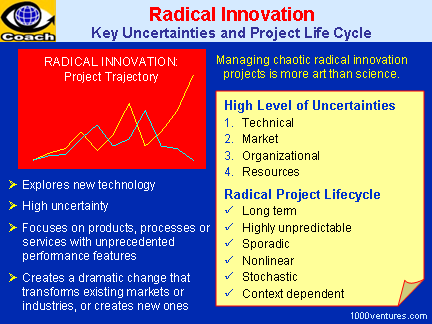 There is practical value in understanding the patterns in and the differences between evolutionary incremental innovation projects and revolutionary radical innovation projects. This understanding can help you apply right management practices to different types of innovation projects and make the course of radical innovation shorter, less sporadic, less expensive, and less uncertain. 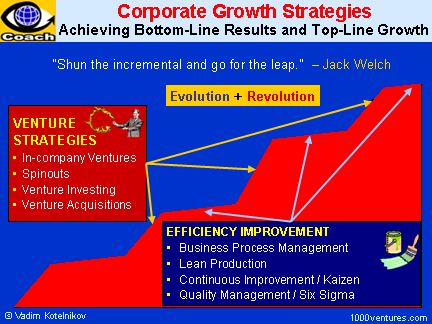 Lead a corporate radical innovation project to achieve top-line growth!